Approaching Boston from the perspective of its hidden sacred spaces – its chapels, meditation and prayer rooms outside of formal religious organizations – offers a new way of seeing the city and its sacred and secular niches. Join us on a walk through a few of these spaces, those that are hard to find and those hidden in plain sight. Many people who visit our city arrive by air, so let's start this short introductory tour of Boston's Hidden Sacred Spaces with the chapel at Logan International Airport. We also developed a lesson plan for Massachusetts seventh graders based on these materials that meets state standards. Download it here. Opened in 1951, Our Lady of the Airways enjoys the distinction of being the first airport chapel in the country. 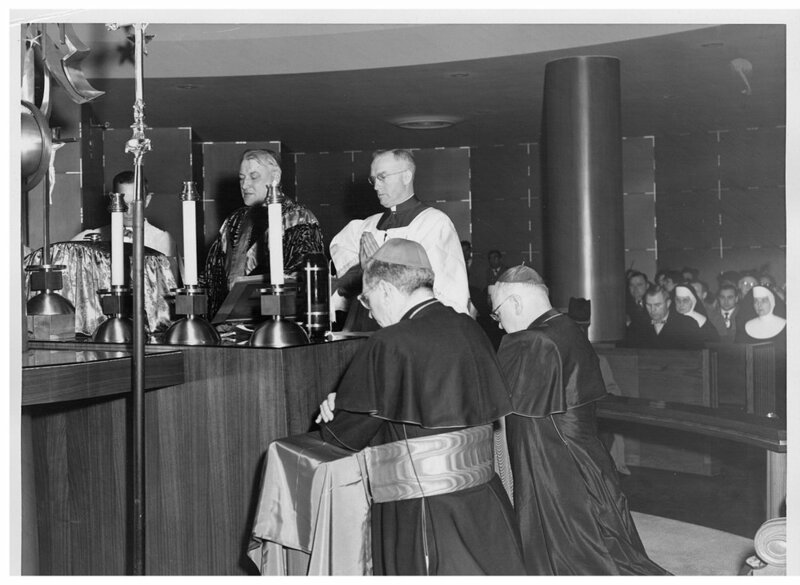 Catholic Archbishop Richard Cushing recognized the need for a sacred space to serve airport staff, many of them Catholic at the time, who often worked long, sometimes even 24-hour shifts. 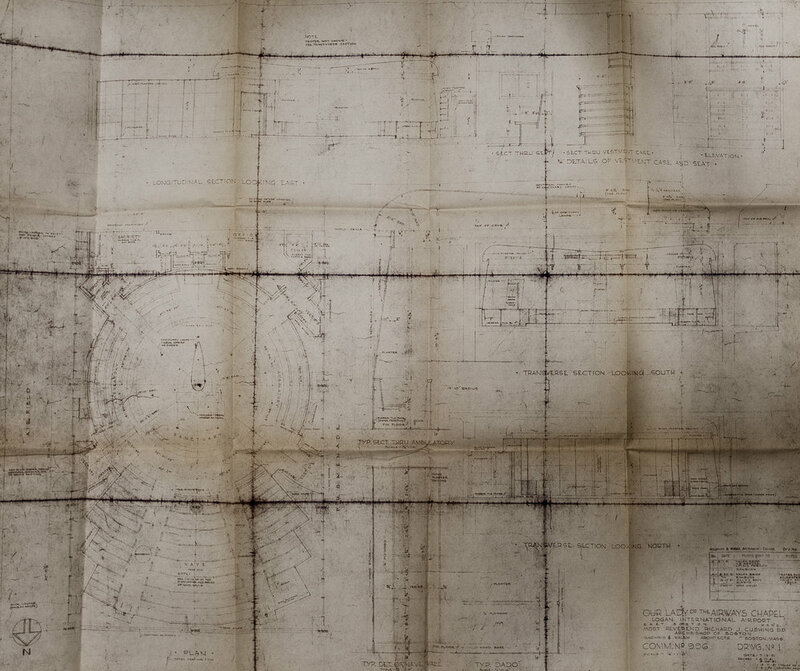 The Airport Management Board made a total of 1500 square feet in the New Apron Building at the airport available to Protestants, Catholics and Jews in the city in 1950. Rental was $100 per year with the stipulation that the religious groups would be responsible for the construction and maintenance of the space. The archdiocese signed a five-year lease for this space beginning on April 1, 1951. The usual review process for the lease was waived and the Airport Commissioner and members of the Airport Management Board signed it. I have not located any materials to suggest how Protestant or Jewish leaders in the city responded to this invitation. 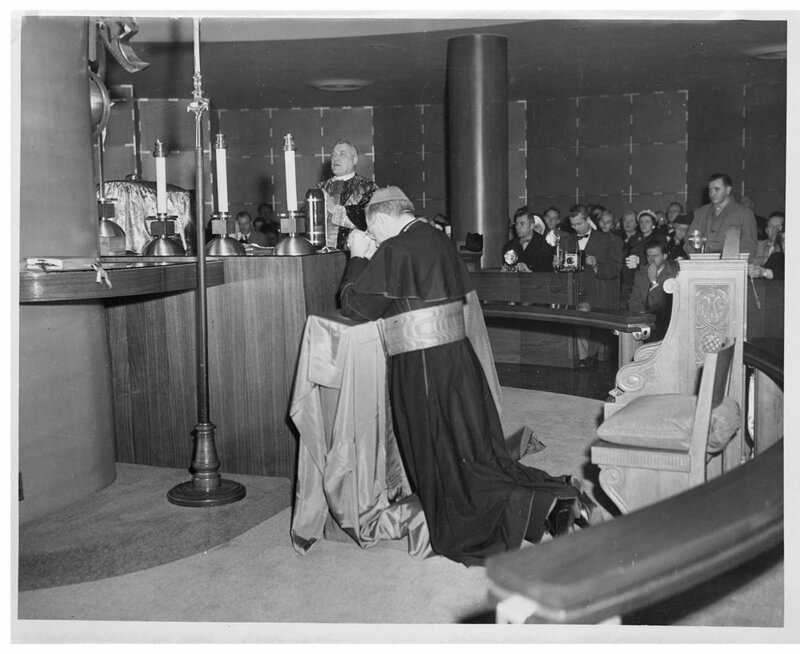 Originally a small, circular chapel, Our Lady of the Airways was dedicated on January 20, 1952 by Archbishop Cushing. Designed by architects Maginnis, Walsh and Kennedy at 126 Newbury Street in Boston, the chapel had pale walls, subdued lighting, an organ, a carved crucifix, candles and seating for 165. Apparently, the chapel had a neon sign so people could find it, and aeronautical motifs appeared throughout. Daily mass and a permanent service of the Blessed Sacrament was available in the chapel. 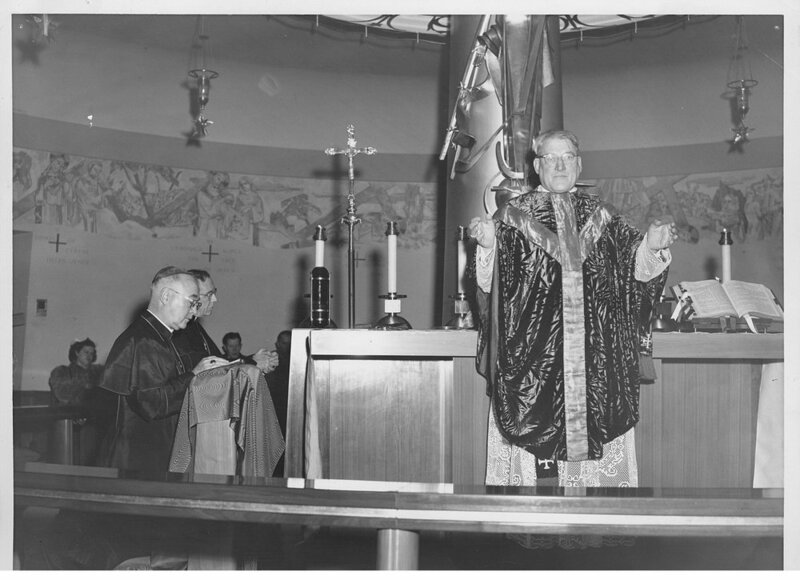 A report from 1957 suggests that chapel held six masses on Sundays and Holy Days. Father Hawes, a priest at Our Lady of the Assumption parish in East Boston, held mass in the chapel and originally took care of it. The airport expanded in the early 1960s, and the Massachusetts Port Authority paid for the chapel's relocation to its current home near the control tower in 1965. It seats 250 and features a typical altar and crucifix, Stations of the Cross, and holy water fonts at the doors. The chapel was mentioned rarely in the press after 1965, but a 1969 Boston Globe article reported its abrupt closure at night after Reverend Joseph E. Havey repeatedly discovered college students engaging in sexual assignations! 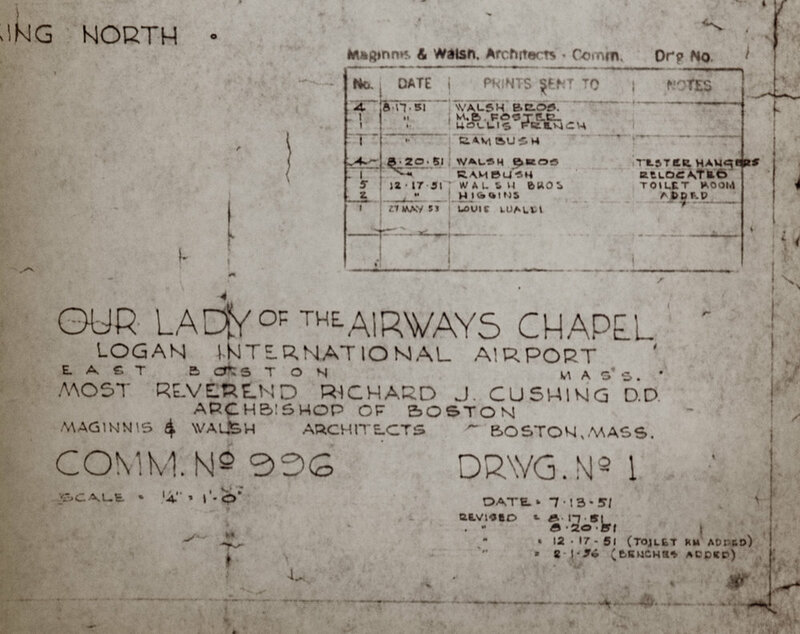 In 1970, the archdiocese gave permission for airline personnel to be married in the chapel. Their marriages were recorded in the parochial records of Assumption Parish, within whose boundaries the airport was located. A Catholic Air Travelers Association also started in the 1970s based at Logan. 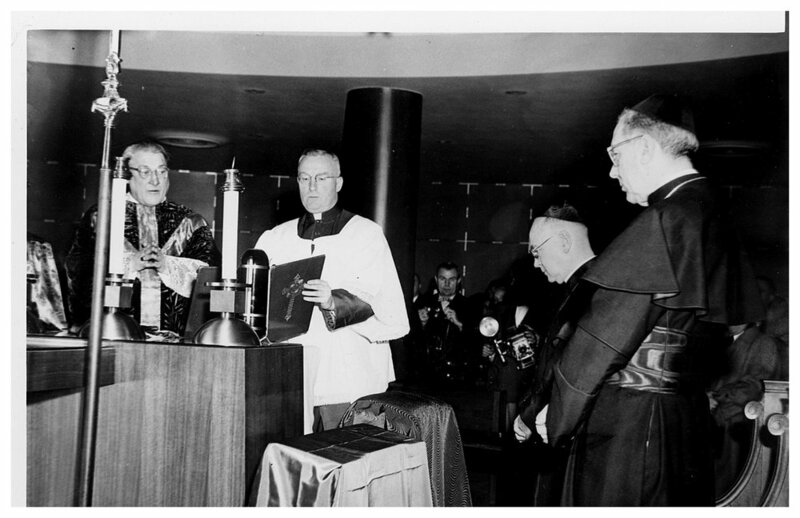 Father Bernard McLaughlin was the airport’s chaplain in the late 1970s and 1980s and held multiple masses every week. East Boston residents attended those masses with travelers and airport staff. He wrote regular columns for the Boston Herald and was quoted in a 1984 Boston Globe article as having officiated at as many as 20 marriages per year. Today, Father Richard Uftring holds mass daily. While still primarily a Catholic facility, a prayer rug and a small handwritten sign pointing towards Mecca has been added to the back corner of the chapel in recognition of Muslim staff and travelers in need of a place to pray. Plaques memorializing state police, airline and concession workers, port authority officials and victims of the 9/11 terrorist attacks grace the walls of the chapel. Annual memorial gatherings for 9/11 take place in the chapel, and Logan Airport’s 9/11 memorial is just a short walk away. 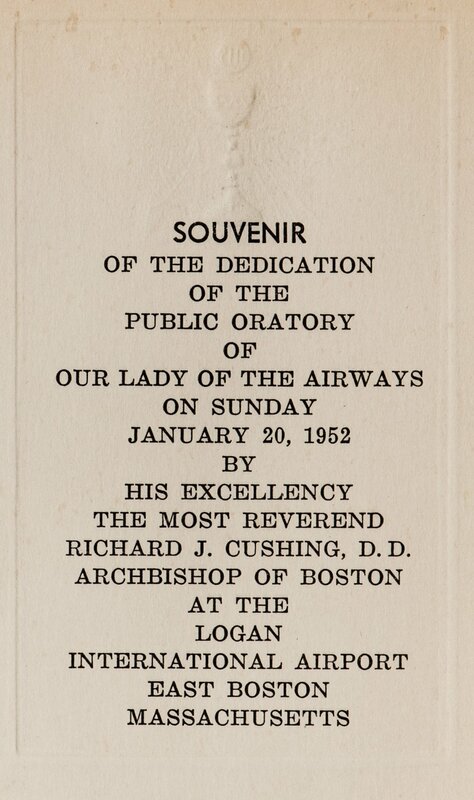 Historical documents and photographs from the dedication of Our Lady of the Airways at Logan Airport on January 20, 1952. Read more and see primary documents here. 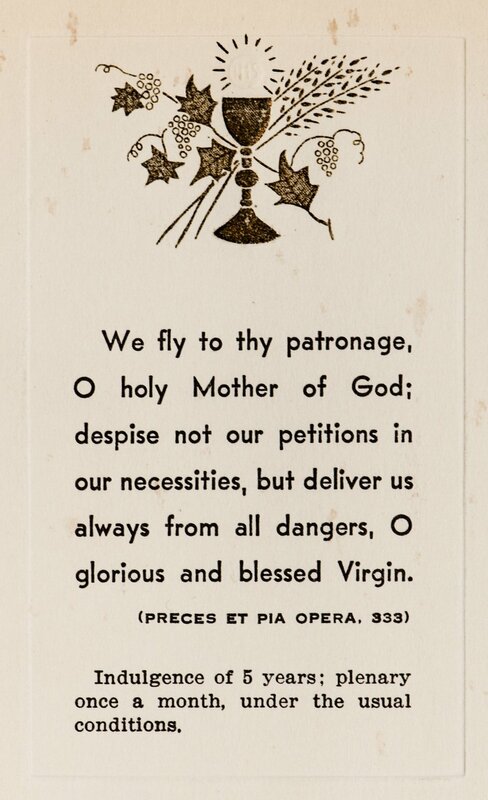 Many thanks to Thomas Lester, Archivist and Records Manager for the Archdiocese of Boston for allowing us to copy and reproduce this material.